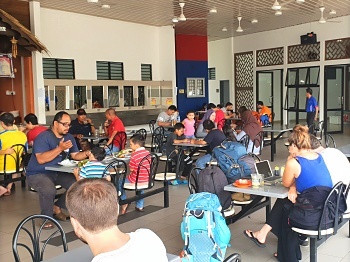 If you arrived in Mersing a little early and your ferry isn't due to depart just yet, then why not take a bit of time to sample some of the dishes on offer at the Mersing Harbour Centre food outlets. Both Asian and Western dishes are on offer and it's all freshly prepared for you. And reasonably priced to boot. Want a hot drink to go with your meal? 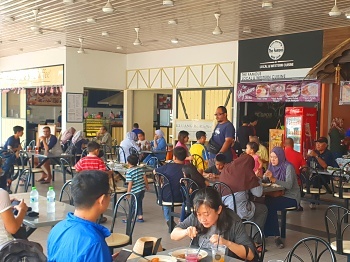 Try a "teh tarek" or a "kopi oh". But cold beverages are available too of course. 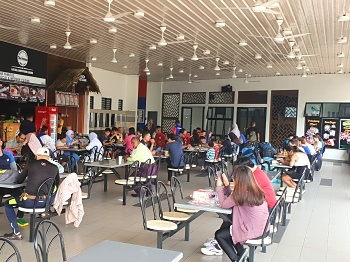 Incidentally, Mersing Harbour Centre's Food and Beverage concourse is the official Meeting Point, so if you're meeting up with your friends, fellow travellers or the rest of your cycling club, then just tell them to make their way here.